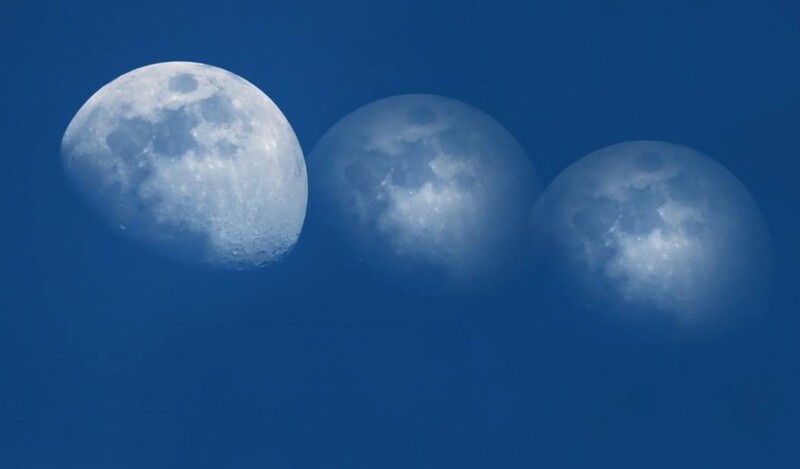 The last full moon of this year, 2015, is called the Cold Moon. This is traditionally the coldest and darkest time of the year in the northern hemisphere. The illumination of light by intense darkness is strong now! It is the time we connect with the natural world on a deep level to bless and celebrate the fragile balance between the kingdoms of the Earth. Celebration and nurturance of the human, animal, vegetable and mineral kingdoms is not complete without the blessing of the elements of water, fire, earth and air. Mastery of and co-creation with the elements is imminent at this time. This is our destiny as an evolving species. The amazing gift of the full cold moon on Christmas Day is one of reverence to the natural world. This rare event will not happen again for many years. We are blessed with forthcoming abundance and harmony as we take up the call to unity for the coming years. 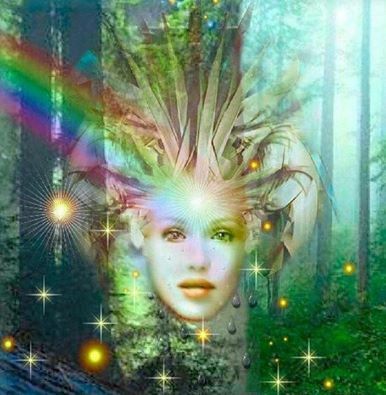 Many new green technologies bless our lives as we honor our true home, Gaia. We are shining our light bravely through the cold dark nights into the bright future of our now. Being one with the natural world creates the luminosity we crave as universal travelers. The last new moon of 2015 illuminates the gateway for 12/12. Another powerful synchronicity of this time! We are constantly reminded by star language to step up to the plate. This truly dark winter moon bides the season of gestation, the circles of death and renewal and the celebration of stormy weather. We are blessed with new dimensions above and below, new deepenings of emotional strength and new ways of being that honor all life everywhere. This new moon in Sagittarius propels us closer to the center of our own consciousness and closer to the natural world as it heads into the darkest past of winter: The Winter Solstice! The 12/12 gateway is seeded with the question: Where is our love? Where is our passion? Where is our soul leading us? We anchor the peaceful energy on Gaia by remaining grounded in our own hearts, by remaining kind in the face of unkindness, by acting humane to the inhumane. We are building and growing our own integrity of spirit. As this year winds down, our growth is needed and necessary and celebrated. This new moon in Sagittarius is beckoning us to move forward with pride. We have been challenged and met the call with wit, fortitude and courage. Let us accept ourselves so we can move forward without resistance. Let us add a jingle to our step. Tis the season! Yes, this is the third Super Full Moon in a row for our evolutionary acceleration. 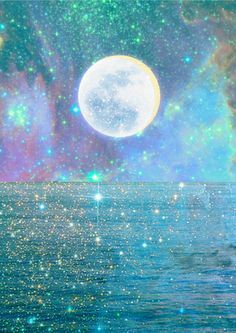 Supermoons move close to the Earth intensifying the tides in the ocean and tides of emotion in all beings. This one sits itself in Scorpio so secrets will be uncovered in this month of November 2015. Also, a karmic crush of people, places and things wash over us in this 11th power month of the year. Let’s choose wisely those we choose to align and associate with, where we give our attention, where we choose to give service and where we spend our money. This November is a month of choice and balance. Much has been said about happiness, yet this month it will become increasingly clear where this sometimes illusive theme lies in our lives. Our choices illuminate where and when we have hit this mark, strayed from this theme and/or have hidden it deeply from ourselves. The polarity between entitlement and unworthiness, too much vs too little, is ripe for exploration now and leads to balance if we observe instead of react. Simplification of almost every area of our lives creates the space to find what truly excites us. Living a passionate life is happiness. In this passionate moon~th of Scorpio everything is intense and juicy if we slow down and FEEL! The Supermoon in Scorpio ushers in themes of forgiveness, gratitude and faith in a huge way. 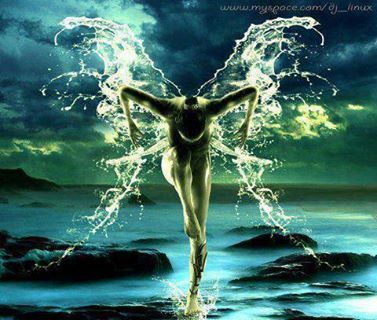 As we move ahead energetically, we must let go and trust our journey. Trust that we are guided and protected. November is a blessed month. Let’s keep our vibration high by laughing, sharing random acts of kindness, singing, dancing and loving ourselves and others! Boom! Boom! Boom! There is soooooooooooooo much evolutionary fire ablaze!!!! We just passed the Solar Eclipse of the New Moon in Virgo which planted the new energies for the rest of this year 2015. Shakeups continue as many important planets go direct, we head for the Autumnal Equinox, Super Blood Moon in Aries Lunar Eclipse and a heavy Mercury retrograde! POW! Could there be more going on in the sky?? ?What does all this mean? Flow with the changes as this month and next turn into an energetic rollercoaster. The inner clearing work is mandatory now and if we are not diligent in listening to our own Angelic Guidance Systems, AGS, we will be detour material. Many people, places and things we thought we wanted will turn into the very people ,places and things we do not want. We are moving fast and need to jettison outdated thoughts, feelings, possessions and even those people in our lives that no longer support our growth. Slow down. Getting caught in the dramas of those around us will be a challenge at this time. Breathe and take as much persona time as possible and make that a new habit. This can be a magical time for those who are psychonauts: pioneers of consciousness. The dimensions of time are shifting and we can flow with them as they reveal the splendors to come. Virgo demands our attention this month as Gaia speaks loudly and clearly if we walk on Her barefoot. This can be a time of needed grounding as so much is happening in the stratosphere and we are being bombarded with information. To make practical use of this time, make space to listen. This could be as easy and peaceful as star gazing or hiking in nature. Let’s really enjoy the party of these Fall energetics. Let’s make some solid commitments to do good for ourselves, others, the planet and all conscious being on it, in it and above it. Dance, Sing, Make Art, Make Music, Make Love, Play!!! 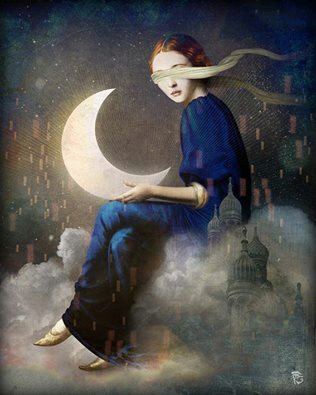 Finding ourselves on the raging rollercoaster ride of the New Moon in Cancer, prelude to the Blood Moon/Blue Moon at the end of July 2015, we are challenged to let go of the old, outmoded behavioral patterns in our lives and enjoy and be grateful for what is in front of us right NOW! 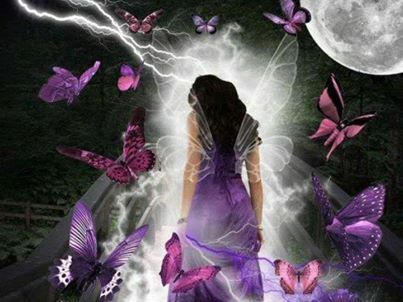 Whatever is changing and morphing in our lives is just clearing the way as the angelic gates open, on July 26th to Aug 10th, to fill the empty spaces with amazing new possibilities! We are entering new territory on the inner and outer planes. So many amazing new green technologies are appearing daily to change the outer landscape of our lives. We must step up our own flex-ability and adaptability to become our best selves. Those around us are just strengthening that resolve by demonstrating the very behavior we are moving away from in these defining times. We must look to those examples of integrity, honesty and authenticity that will appear in each moment now when we seek them out. Mostly, those examples of these qualities will come from ourselves! The drums of destiny are beating in our lives! This new moon in Cancer is bringing up the deepest blocked emotions within us to feel and release.Acceptance is key now, for to realize our true worth is to integrate every experience into our being and not judge it as good or bad. This is where all our Angels and Master Guides are divinely gathered around to help us through this process. Please call on them to help clear and ease troubled hearts and minds. We are opening and clearing our hearts and minds to prepare for the Lion Gateway that appears as we fall into Leo and cross into the last Blood Moon of four at the end of this month. Destiny calls us very loudly at this time. Embrace it!!! 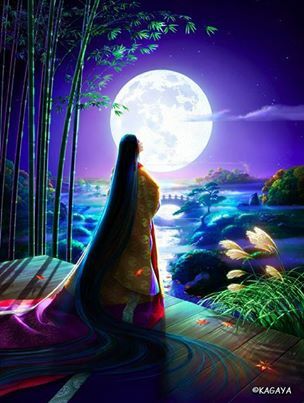 The full moon in Capricorn gateway kicks off July 2015! Another power punch of change planets that aspect the moon’s nodes propel us forward on a roller coaster ride that can either be exhilarating, debilitating or just plain irritating!!! Free will, baby!! We are asked to coast with the changes, simplify, and get our inner and outer houses in order. Let’s ground ourselves with the energies of this full moon illuminating the push /pull between our practical day by day responsibilities and our wild imaginings which light up the magic in all simple, domestic doings. The true gift here is Venus and Jupiter traveling together in Leo. Brilliant chance meetings, angelic synchronicities, unexpected abundance, giddy times, instant lifetime bonding, true confidence and real romantic love come into our lives during these lovely transits. Time to look outside ourselves, look up, surround ourselves with people, places and things of substance. Less is more. Let’s get our values straight up and counted on one hand. There is magic in the heavens shining down on us. We are blessed this summer with so many possibilities and an endless stream of positive vibes pulsing through our lives. Let’s align ourselves with this energy by connecting with natural surroundings as much as possible. Let’s leave the mundane behind and immerse ourselves in magic. Look for the magic, see the magic and be the magic! Remember to pay forward all random acts of kindness to keep them circulating around Gaia! Our planet, Gaia is speaking soooooo loudly now. Can you hear her?? A pool buddy of mine complained to me about going to the market and not getting a bag to carry his groceries. They told him to bring his own bag next time then gave him a paper bag which promptly broke. I asked him what he had bought, to his cha cha-grin! (What planet is he living on, I wondered.) He then told me all the ‘Toxic Crap Passing For Food’ he had bought including some TCPFF for his dog! Wow, with all the food recalls for humans AND their pets, the media info on GMOs and loud grass root protests, the articles circulating with cruise ship photos of the miles of plastic floating in the Pacific Ocean, the ‘grow your own food’ initiatives in ALL countries of the world, and MASSIVE global protests about the ruination of our global home, my pool buddy is a reminder to me that many peeps on this planet just don’t care! These people are thinking for the short term only. They have the ‘I want it now’ syndrome. What do we do? I realized, in that moment, that this guy was spoiling for an argument, and that I was the target because he knew I was aligned with nature. So, I told him that I had been using my own bags since 1998 and he could find all the information about sustainability and non-sustainability online. Then I left! I did not destroy my peace of mind over this. I choose my battles carefully now to conserve my energy. He never asks me a question or asks my advice about anything, ever. This is my tipoff that whomever I am dealing with is not interested in my eco-lifestyle or any change in lifestyle whatsoever. So, what is sustainability? Sustainability has been defined as-THE CAPACITY TO ENDURE. This means survival. How do we survive on our lovely planet now?? Do we keep ignoring the destruction of Gaia for the sake of unsustainable lifestyle choices? We, humans, are the only kingdom on Earth that have evolved away from nature and natural ways of connectedness and sustainability. Are we ENTITLED to get what we want at the price of our own SURVIVAL and take every other being on this planet with us??????? Vote with your dollar, this is the only way now! At this 2015 Summer Solstice we are all challenged to re-arrange our priorities, and fast!!! More and more animals, trees, plants, insects, minerals, air and bodies of water are endangered. The Earth will survive and reboot, yet we will not if our main priority is not sustainability. 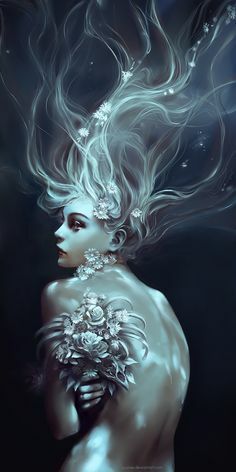 Mercury is direct, though this retrograde integration time goes right through to the 26th of June, and we have crossed onto the New Moon in Gemini two week period. 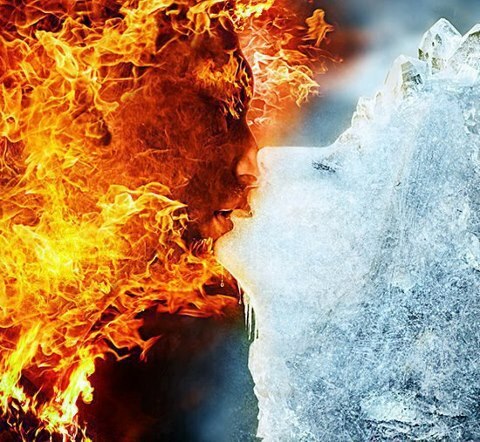 Intense solar flare activity lights up the Divine Masculine and Divine Feminine in each of us, balancing our DNA into wholeness and adding new strands and new abilities to our human mess of human-ness! Our value systems are changing as well. The more whole we become, the more we see Gaia and all HER kingdoms, human, animal ,vegetable and mineral, as connected and sacred. The more whole we become the more we question how we live, why we live, where we live and whom we live with. This Mercury retrograde integration period could be used to ponder these things. 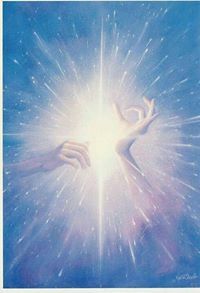 Issues of the heart become our main focus now as we move forward into the Summer Solstice. As the Sun moves into it’s northwest position, we are challenged to take note of what we are communicating to others, the environment around us, and to ourselves. What would love do, say, and think? Self-control, delayed gratification, bliss -apline, patience, forgiveness are all on the table as Saturn retrogrades back into Scorpio. Make no mistake, this is a deep, emotional time as we cross the Summer Solstice into Cancer. Time to release what no longer serves our evolutionary growth and that may come up again and again til we are truly clean and totally heart-centered!. This new moon in Gemini can make a gabby, social-fest of our days, yet most of us are moving beyond the superficial into the juiciness of life where wholeness lives. Let us remember, in gratitude, that this month of June ends the first half of 2015. Time to make new, better, and bigger commitments and goals that are guided by our hearts. Oh, and please plant milkweed for the Monarch butterflies!